Frequent issues causes by PST file are not hidden by the professional MS Outlook user. Amazingly, the newer version of Microsoft Outlook has been minified issues that happen cause to database file sizes. But still, users have to face problems while utilizing massive Outlook PST files in MS Outlook. Frequently, massive files being the factor of corruption in the database. The mere gorgeous solution to run out from terrific situations of MS Outlook is to keep the small size of PST file. That’s why users should always keep small PST files to execute their tasks swiftly. So, you can make effort to archive and split Outlook PST file. Well, here I’m giving you a brief description of archiving data and tract of archiving data. Some of the gorgeous tracts to archive PST file data and split PST files data. What is archiving data in MS Outlook? The archiving process of emails in the MS Outlook is the finest way to create space for new emails. Whenever your mailbox becomes disarray and messy, Microsoft Outlook becomes dormant making email impassable. To avert all those terrific issues, you have required to archiving your emails. How to get enable auto archiving in the newer version of MS Outlook 2016? Follow the below steps to perform execution of archiving setting or to enable Auto Archive setting. Firstly, Open Microsoft Outlook and start the File Options. Then reach to the Advanced and click on Auto Archive Settings. Then, check there Run Auto Archive in < n> number of days, fill that column with desired date or duration, whatever you wanted to archive your PST file, and now click OK. Afterward enabling auto-archiving, emails will be archived as per as stipulated settings. Infrequently, maybe you need to archive your emails manually in Outlook 2016. Then, go through the given steps. Firstly Open the Microsoft Outlook. There are two ways to settle or avert issues. The first has accomplished above, and the second step is to utilize the technical tool. Shoviv PST File Splitter is a proficient and gorgeous tool to execute. 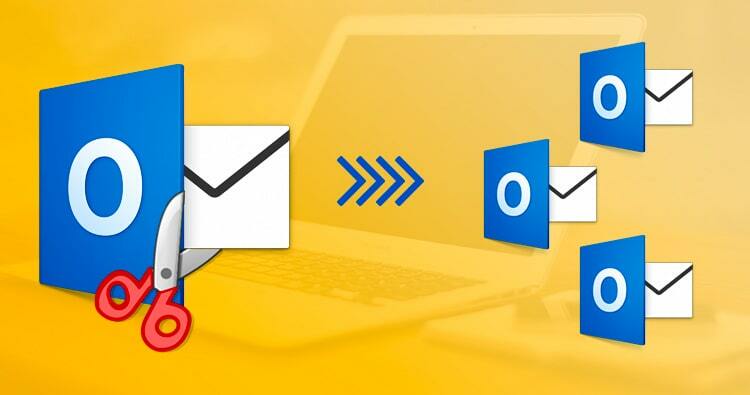 This tool plays the crucial role to fend MS Outlook issues through splitting PST files. Hope my dear readers, you all got it lucrative. Wishes this will auxiliary for you too. It’s my suggestion to try these ideal ways to prevent your Outlook PST file and to avoid terrific issues like data corruption or ruination of Outlook performance.